North Korea released a video on Thursday from the Singapore Summit earlier this week. 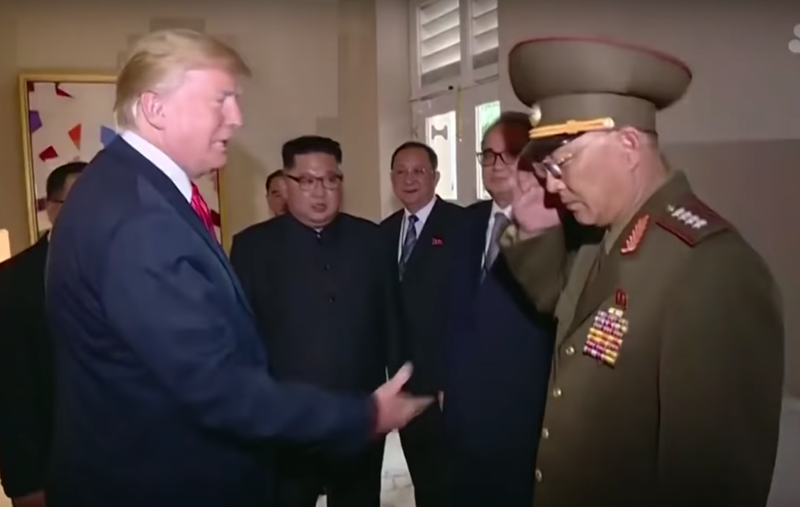 It shows President Trump returning a salute from one of Kim's generals. Trump's action shocked many people - including Kim Jong-un. 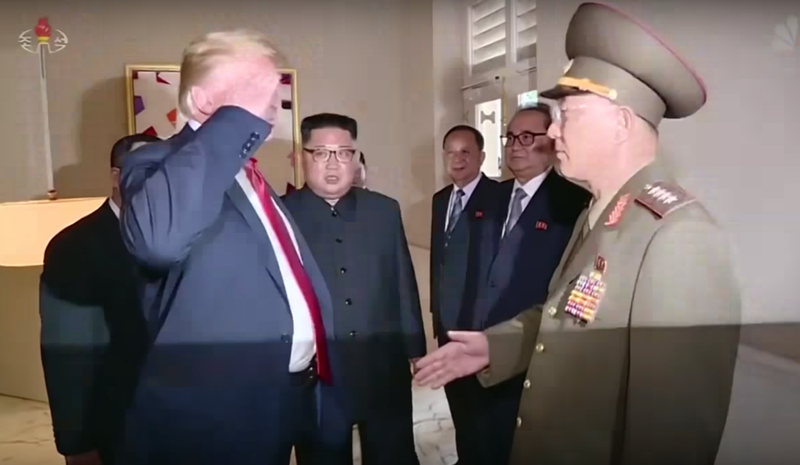 From a nonverbal perspective, it's crucial to note that Donald Trump did not initiate the salute - but responded to the General's salute (an example of social mirroring) after the General missed Trump's cue to shake hands. Upon receiving the salute from Trump, the general then re-initiated a handshake. 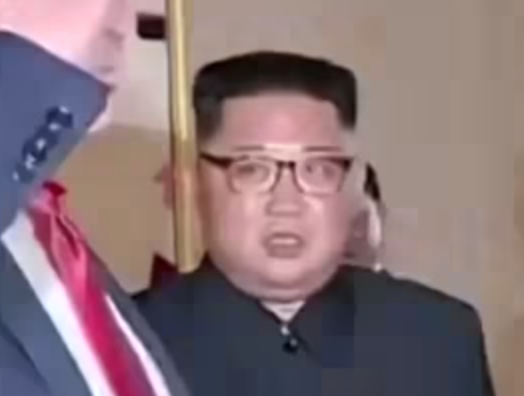 The image above - a screen grab from 0:06 obscures Trump's face - but not Kim's. A closer evaluation of the North Korean leader in this same instant shows a slack-jawed Kim Jong-un. His full facial expression projects an emotion of momentary shock. For a second, he can't believe what he's seeing. 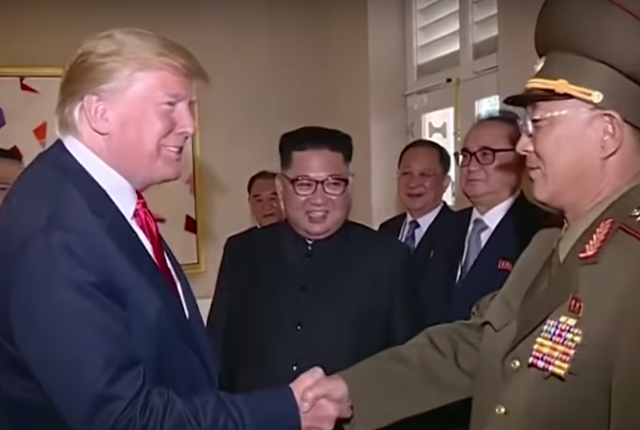 Did you notice that the North Korean General did not look at Trump's face during his salute - but looked down? He did, however, make eye contact thereafter. 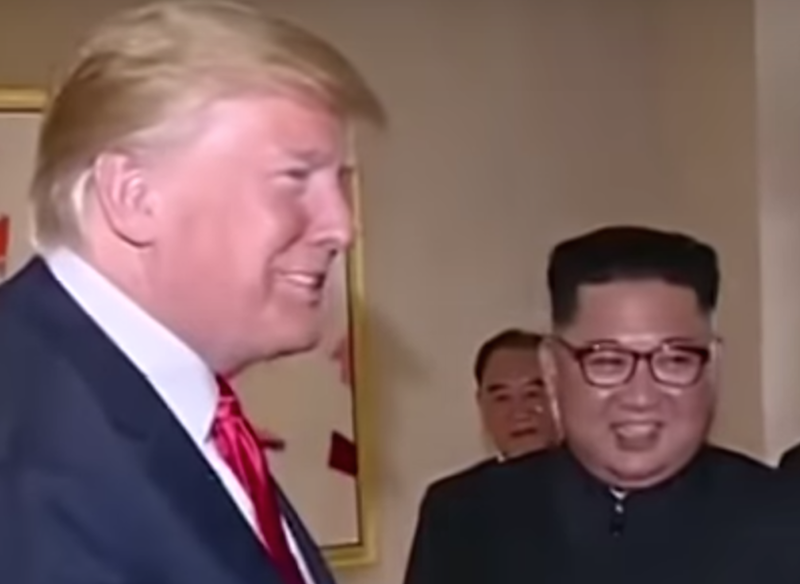 Kim recovers quickly from his shock - and when Trump and the general shake hands, Kim smiles - with a mild component of laughter. This is one nonverbal cluster we never want with high frequency - for although we all display it once in a while - those who use it often have a high correlation with Antisocial Personality Disorder (colloquially referred to as Sociopathy/a Sociopath). We all feel these thought-emotions on occasion (hopefully not too often) - and all three may be manifested via other facial expressions. But this is NEVER an expression we should ever want to see when someone is shaking our hand. Summary: Kim Jong-un was momentarily shocked when he saw Donald Trump saluting a North Korean general. Kim then showed bravado/hubris. President Trump's expression was insincere while shaking the foreign subordinate's hand. More specifically, Trump projected emotions of arrogance, contempt, and/or sarcastic disbelief. Body Language Analysis No. 4301: Donald Trump and the G7 Summit "Family Photo"